Wholly-owned subsidiary Wheeler Bros., Inc. (WBI), is a world-class supply chain management (SCM) company and is the largest fleet sustainment provider to the United States Postal Service. WBI serves some of the largest commercial fleets in the United States in the bakery, food services, Class 8 and uniform industries; as well as fleets in the waste collection and transfer industries, oil field services, and government fleets. For more than 50 years WBI has kept our customers’ mission-critical fleets running. Founded in 1960 and headquartered in Somerset, Pennsylvania, we support more than 250,000 light, medium and heavy-duty vehicles. 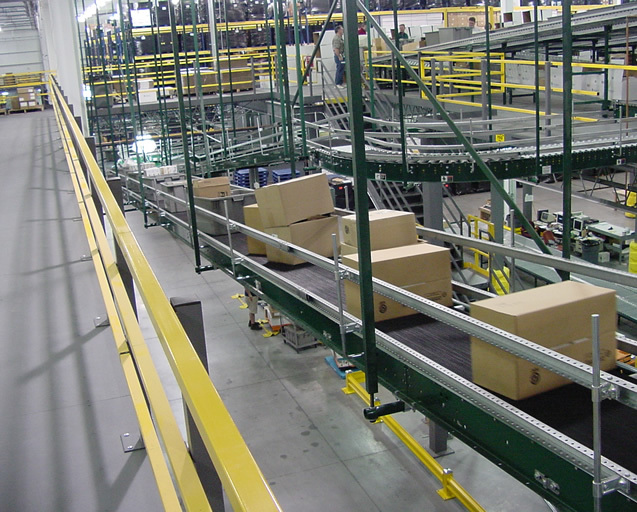 With more than 280,000 square feet of warehousing, we ship over 4 million line items annually to more than 600 locations around the United States. Our SCM service offerings are organized into five service areas that provide a comprehensive approach to fleet management. WBI offers a complete Managed Inventory Program (MIP) that ensures our customers’ maintenance facilities are always stocked with the right parts at the right time. We custom tailor each MIP program for every customer to fit the unique needs of every fleet. With our Managed Inventory Programs, customers are able to reduce fleet downtime, identify obsolescent inventory, and reduce parts inventory carrying costs to a fraction of normal costs. WBI provides a full, end-to-end service platform for fleet-based companies of all sizes. Our fleet management software incorporates automatic maintenance scheduling (by mileage or days of operation), a customizable web-based interface tailored to individual customer needs, live parts usage updates, repair center management, part number tracing on vehicles to track recall or warranties, automatic stockroom replenishment, and more. Our software gives a complete picture of the fleet allowing managers’ real-time access to critical information about each vehicle to maximize their fleet’s efficiency. Our stockroom optimization teams are experts at analyzing storerooms and supporting procedures and optimizing inventory management practices. We apply proven best practices to organize and gain control of inventory saving space, time, and money – increasing the efficiency of upstream supply chains. Furthermore, stockroom optimization decreases stock-related costs such as carrying costs, obsolescence, and wastage. Our stockroom optimization will ensure quick and easy part counts, searches and retrievals, accurate known inventory value, and minimized inventory-related fleet downtime. WBI is committed to extending the service life of our customers’ fleets. Working hand-in-hand, we identify opportunities for continuous improvement in a vehicle’s life cycle and to reduce the cost of its maintenance footprint. Leveraging more than 40 years of automotive engineering excellence, we can research and engineer obsolete or hard to find spare and replacement parts for any fleet. All of our engineering parts are subject to rigorous industry quality standards and verified by our ISO-certified quality management system. WBI supplies the Department of Defense with quality, mission-critical automotive parts in support of the Warfighter. Our Government Sales department has over 30 years of experience in research, engineering and contract administration for our government clients. We leverage our knowledge of legacy military equipment against our supply chain to offer parts at the best price, and we offer unparalleled customer support.